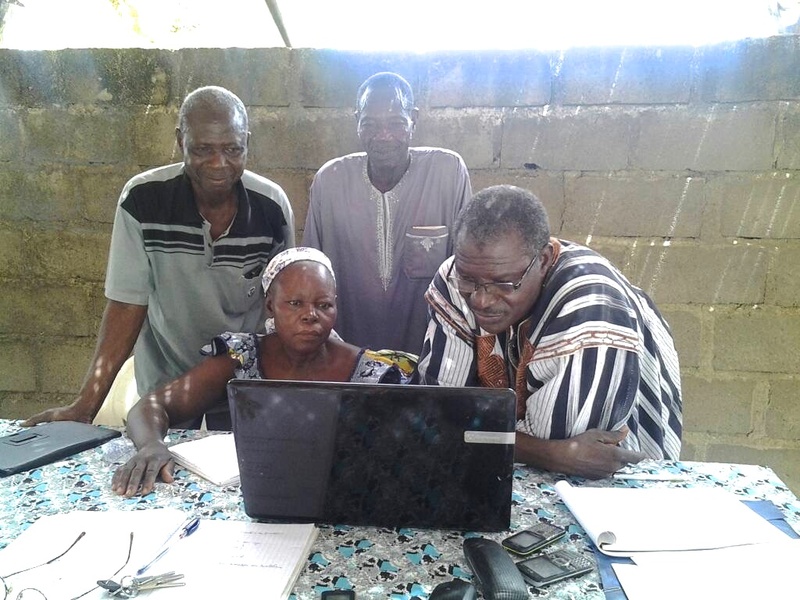 A returned Peace Corps volunteer (RPCV) and her counterpart, a former Burkinabe agricultural extension agent (who now is president of an NGO, called AIVPDL), maintained correspondence for more than 30 years. 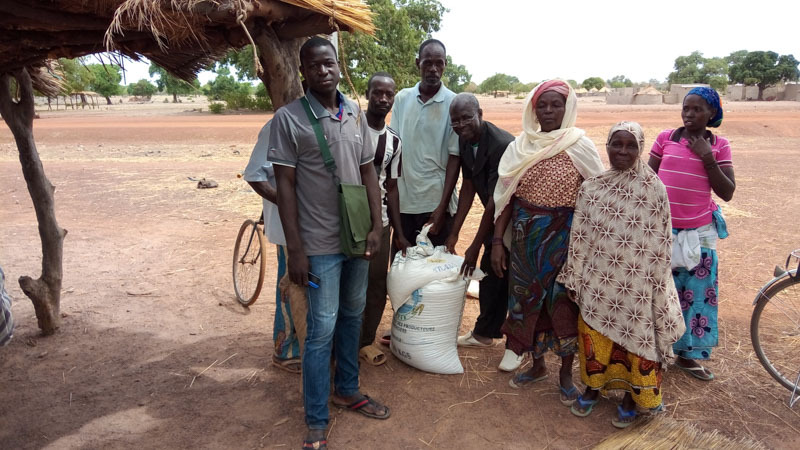 In 2016, the two friends devised a plan to educate subsistence farmers in the Zoundwéogo Province on how to increase yields, bolster production, and become self-sufficient in food. 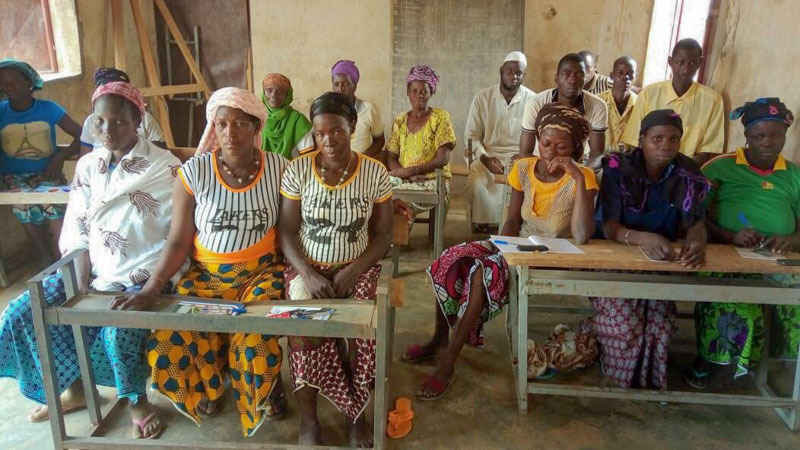 The retired agricultural professionals belonging to AIVPDL agreed to volunteer their time and share their expertise with local farmers about ways to increase production using recommended, sustainable agricultural practices. With financial assistance from FBF, the team launched their program in 2017. AIVPDL met with administrative authorities to legitimize this initiative. 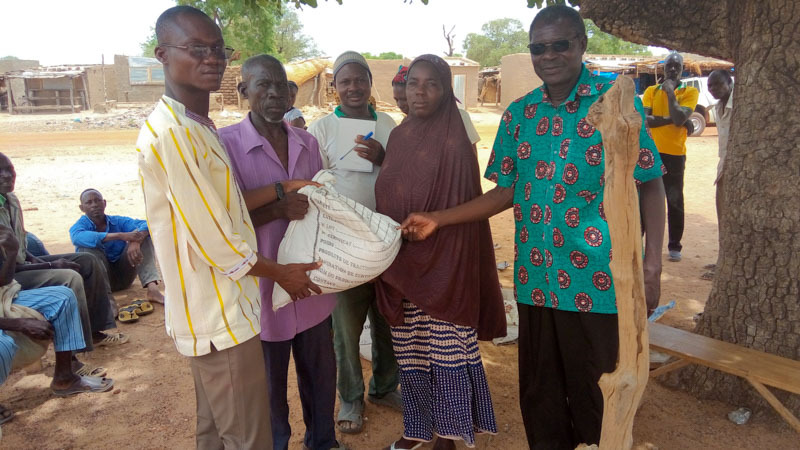 They solicited help from both the mayors in Binde, Manga, and Gogo as well as with the chiefs in 15 surrounding villages who played an instrumental role selecting the farmers to participate in the program. AIVPDL began working with 375 farmers (58% of whom are women) in early 2017 providing them with improved seed, imparting knowledge about the importance of restoring soil fertility through the use of organic fertilizers, holding training sessions at demonstration plots throughout the growing season, and periodically exchanging information with farmers in their fields about agricultural crop management techniques. The program was successful in a year in which production fell nationwide due to drought and pest invasions. Yields on fields deploying recommended technologies were reported to be significantly greater than on fields using conventional production methods. In plots treated with organic manure, yields increased by more than 50% for corn, soybean and cowpea while rice yields were up four-fold. Yields were even higher when organic manure was used in combination with artificial fertiliser. Given the impressive results achieved in 2017, the FBF Board of Directors agreed to support an extension of the AIVPDL project involving 300 farmers in 2018.